It’s zucchini season! In the store, it’ll be cheap, but if you have a garden, you probably already have more than you know what to do with: zucchini is one of those crops that appears in a burst of abundance and sends you scrambling around to press huge baskets of the stuff on all your neighbors just so it doesn’t go to waste. The standard answer, of course, is zucchini bread, and you probably could come up with a Paleo version of that. But any kind of bread isn’t ideal as a staple food – no, not even if it’s grain-free and made with almond flour. So here’s a different way to use up some of those zucchini: a soup that stays much closer to the spirit of Paleo. It’s completely autoimmune-friendly (no nuts, no seeds, no nightshades), and it has a mild sweetness that goes well with just about anything. As a bonus, this soup is also an easy way to store zucchini in freezer-ready form. 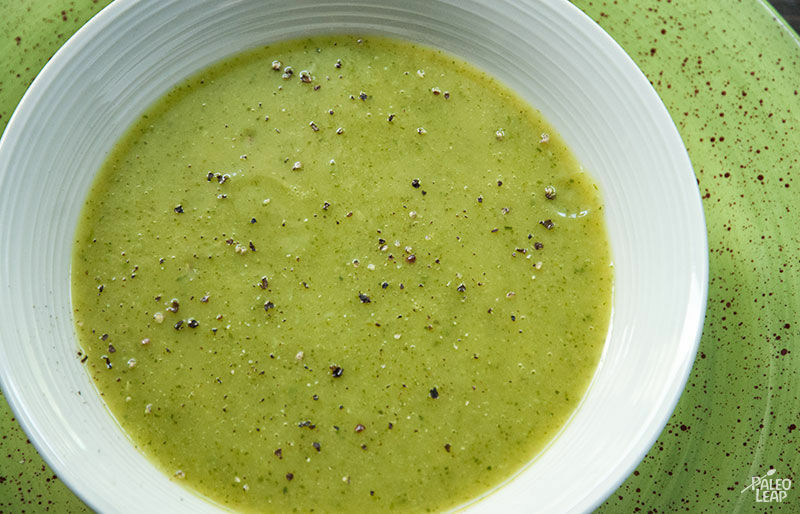 So if you’ve been eating so many zucchini lately that you’re just plain sick of them, you can whip up a batch of soup, stash it in the freezer, and pull it out in January when you’re ready for a taste of summertime. SERVES: 4 PREP: 10 min. COOK: 20 min. Melt some cooking fat in a saucepan placed over a medium heat. Add the onion, garlic and zucchinis and cook for 4 to 5 minutes. Add the chicken stock, season to taste with salt and pepper, and bring to a boil. 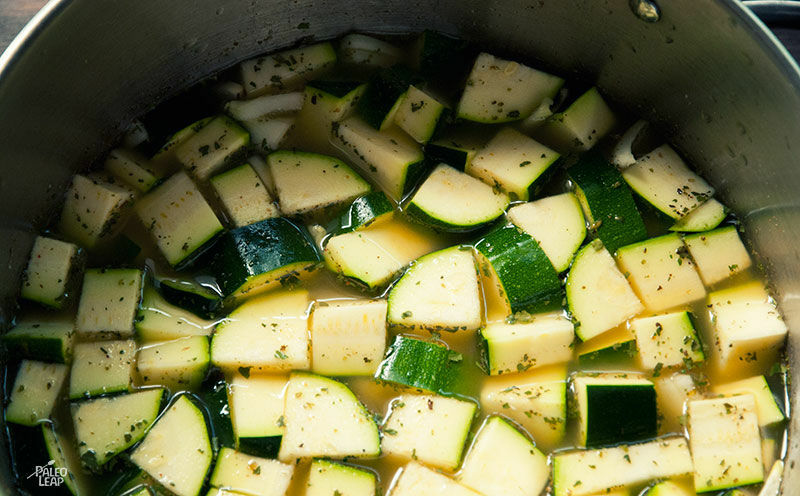 Lower the heat, cover, and let simmer until the zucchinis are tender, about 20 minutes. Remove from the heat, add the coconut milk, and purée with an immersion blender (or pour into a standalone blender).